13h: Opening CAN !T 2012 with the warm up for the world championship Off-beat dancing. 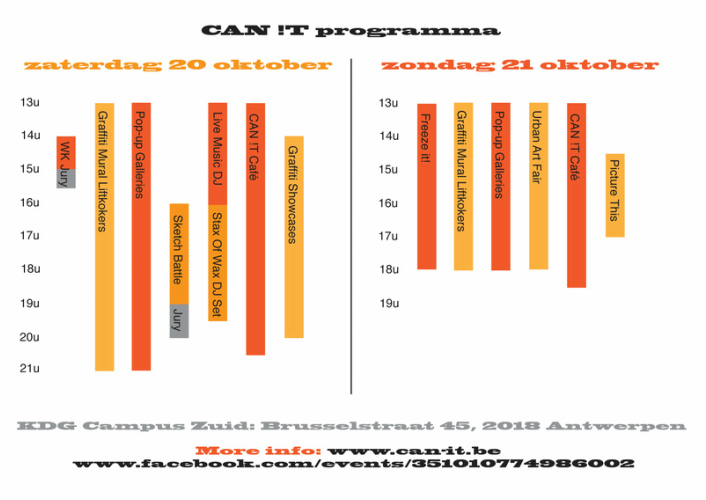 14h: Official start of the CAN !T 2012 October edition with the 3rd and last, famous off-beat dancing championship. 14,30h - 15h: Judging and announciation of the winner of the off-beat dancing contest. 13h - 21h: Live painting of the graffiti murals on the main elevator shaft. 13h - 21h: Pop-up gallery with different artists exhibiting their artwork. 16h - 19h: Battle Of The Walls: Live sketchbattle with felt tip pens and markers. 16h - 19h: Live DJ set from Stax of Wax during the sketchbattle. 19h - 20h: Judging and announcement of the winner of the sketchbattle. 14h - 20h: several graffiti showcases across the event. Come join us during the opening and grab your chance to win the worldchampionship off-beat dancing, admire the artworks, the sketchbattle or have a drink at the bar and have a chat with the artists. 13h-18h: Freeze it! : In collabo with Redbull and Montana, 5 of our belgian best's will pimp some mini-freezers! 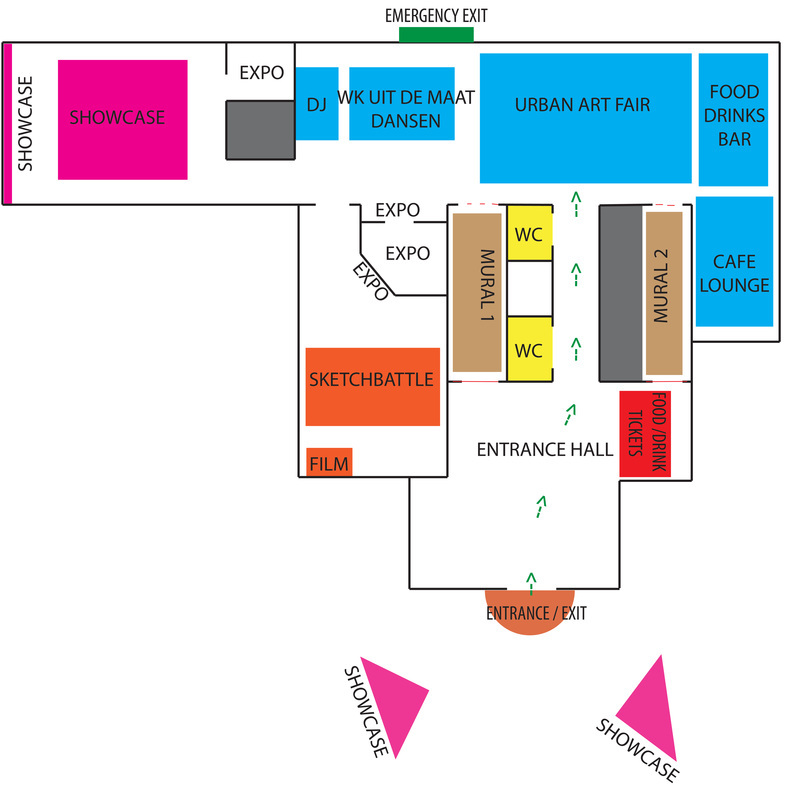 13h - 18h: Urban Art Fair: Several artists will present their work or portfolio. From illustration, over typography to modern design, but all with an urban twist. and a great opportunity for finding an urban artist who's work suits your taste. Contributing artists are expected on the event between 12h - 13h. 13h - 18h: Pop-up gallery with different artists exhibiting their artwork. Come and admire the artworks, enjoy the screening of Mademoiselle Kat's filmproject, have a search for your favourite urban artist or have a drink at the bar. By 18h the main graffiti mural on the elevator shaft should be finished, so don't miss that one either!